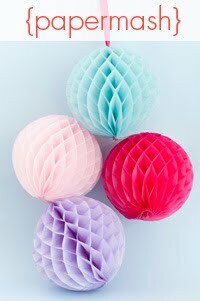 Some of you may have remembered The List Challenge organised by Simple Lovely and Doobleh-Vay. Because I know that many of my compatriate bloggers also took part, and no doubt have finished off your lists, I thought I would update you (or really, me) with what I've done so far. If you are not interested in the minutiae of my life - which I would totally understand - I would look away now; these are seconds of your life you'll never get back again. 1. Go to New York as an election tourist - go Obama! Done - and it was fantastic. Now I have started watching The West Wing, 8 years after everyone else, to get in on some of that presidential drama, and am thinking of having an inauguration party. 4. Design a header for my blog - sort of, this is a temporary header, but some progress. 5. De-clutter, de-clutter, de-clutter - the story of my life. I actually have done a lot of spring cleaning recently, and am very happy with the results. 7. Finish painting my living room - there's been one unpainted wall for over a month now. Almost finished, but I am tempted to give up and put the curtains back - no-one will notice the small details. 9. Go to the Columbia Road flower market. Done - I wrote about it here. 10. Spend some dedicated time on Ebay looking for the bargain furniture/ephemera/painting finds which other people always seem to find and refer to in their Living Etc homes. Done - except that nothing I bought was a bargain. I bought a beautiful painting, a chair, and a whole pile of small items I didn't need - including a very beautiful Valentino skirt for £8.50 - unfortunately I had to re-sell as it didn't fit due to my child-bearing hips. Watch this space for an eBay review of the year. 11. Put up curtains, which I've lived without for the 17 months I've owned this flat. Done, although they are orange, which is too radical a departure for me - I will be replacing them with neutral-coloured blinds at some point in the future - probably in about five years. 12. For at least one week, use up all of the ingredients in my organic vegetable box before the next one arrives. Yes - I switched to bi-weekly, so do get through most of it. 13. Make at least one of Orangette's banana bread recipes (with the bananas I've frozen when I haven't eaten them before they get a bit mushy - see no. 12.) Done - I made this one and it was delicious. You may notice I have slightly skimmed over (or eliminated) the ones which I haven't yet accomplished, but I feel quite proud of my progress. I really do feel spurred on to finish the list, so that for once I can define myself as a completer-finisher. 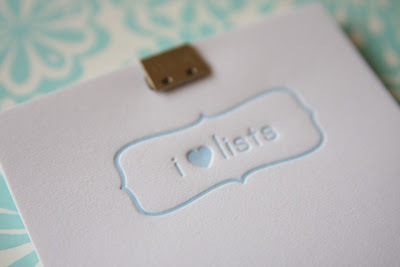 'I heart lists' from Simplesong designs. yay for accomplishments! I never keep up with them so maybe I will try this for 2009. Excellent list! I'm also feeling the need to do some serious decluttering. Well done you this is brilliant progress ...I have just soent the last two days de-cluttering and tidying can't wait to do a Car Boot to get rid of some crap. Wonderful list! De-cluttering is my number one priority right now.